The chapter’s annual dinner will be held on Saturday, March 30th. This is our largest fundraising event of the year and the proceeds fund the chapter’s general operation. These monies allow us to continue to work on projects which include the restoration of Sucker Brook located at the Keys Conservation Area in Pepperell, MA. The restoration project will include the removal of the small dam and the replacement of a culvert. A large part of the dinner’s revenue is from the raffles and silent auction items which are donated by local businesses and fellow TU members. We are asking for your help collecting items. Any and all items would be greatly appreciated and do not need to be fishing related. A dozen favorite flies, a bottle of wine, or a dinner certificate, all will help us to raise monies to support future projects, . If you have a particular fly for a favorite river that you would like to share, we can provide fly boxes to display them. Please contact a board member or myself. If you are unable to attend but would like to support the Chapter, a check is always welcome. Please attend and bring a neighbor, family member or friend. The Squan-A-Tissit Chapter will be holding its Annual Fundraiser Dinner from 5pm to 9pm at The VFW Post 3219 in Pepperell MA. Please join us for a fun filled night with a home cooked spaghetti dinner, bucket raffles, auctions, door prizes, and guest speaker Dan Szczesny . 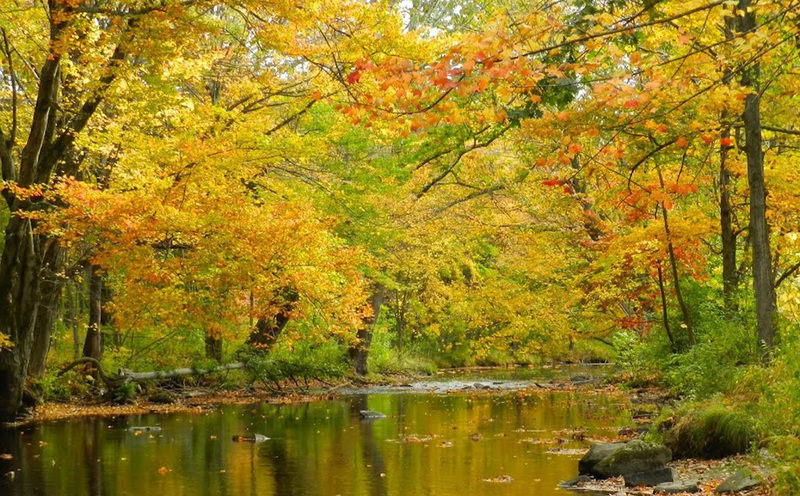 This event is the chapters sole fundraising source that supports the conservation efforts in conserving, protecting, and restoring the Nissitissit and Squannacook rivers and their tributaries. The chapter has several new projects planned for 2019. We can not succeed without your support! The chapter is in need of donations that can be used in the raffles and auctions. Donations need not be fishing related and will be greatly appreciated! This past Tuesday, the Senate passed the sweeping Natural Resources Management Act (NRMA) in outstanding bipartisan fashion: 92-8. The NRMA contains provisions that positively affect every state, such as the expansion of National Parks and Wilderness Areas, scenic river designations, improves fish and wildlife habitat, increases access for sportsmen on public lands, and permanently funds the Land and Water Conservation Fund (LWCF), to name several key components. In any event, this is a massive win for conservationists and outdoorsmen alike. The NRMA is a massive public lands package–662 pages–containing dozens of provisions that all seek to conserve and improve federal lands and access to them. However, of upmost importance was the permanent reauthorization of the LWCF, which ended September 30, 2018. The LWCF uses royalties collected from offshore oil and gas drilling operations to ensure the protection of our public lands and water. The money from the LWCF, “is intended to protect national parks, areas around rivers and lakes, national forests, and national wildlife refuges from development, and to provide matching grants for state and local parks and recreation projects”. While the LWCF will enjoy perpetual funding, the spending of those funds will not be mandated by Congress–an ongoing problem for the Fund. According to the Land and Water Conservation Fund Coalition, federal projects that have been placed on the back-burner total $30 billion and include “places vulnerable to development such as the Florida Everglades, Grand Teton National Park in Wyoming, Civil War battlefields in Virginia, our shrinking Northern forests, and other precious places around the country”. At no cost to taxpayers, this program enjoys consistent bipartisan support and for more than 50 years has facilitated the preservation of millions of acres of federal lands. 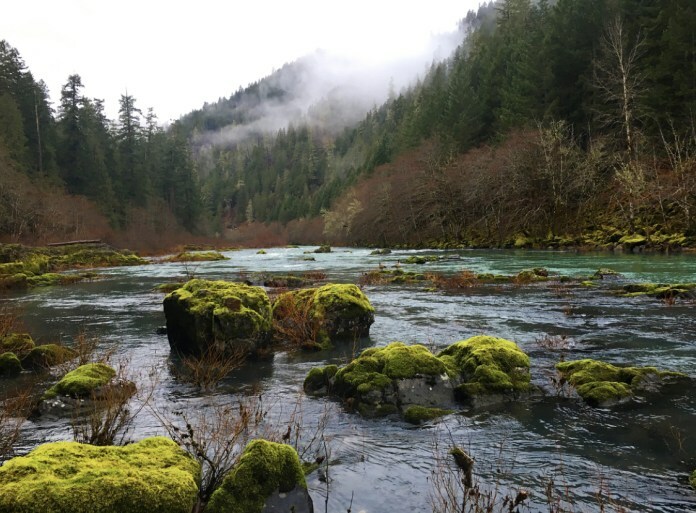 In Oregon, the NRMA–once signed into law–will establish 99,653 acres of Forest Service land as the “Frank and Jeanne Moore Wild Steelhead Special Management Area” (Pictured Above). The name “Frank Moore” represents a true American and a dedicated servant to Oregon’s lands and waters. Frank Moore was a WWII veteran who stormed the beaches of Normandy on D-Day, recipient of the National Wildlife Federation Conservationist of the Year award and the Wild Steelhead Coalition Conservation Award, and a Fresh Water Fishing Hall of Fame inductee. According to the NRMA’s text, this newly established Special Management Area will conserve and enhance “the natural character, scientific use, and the botanical, recreational, ecological, fish and wildlife, scenic, drinking water, and cultural values of the Special Management Area”. Frank and Jeanne Moore are embodiments of responsible stewards of our lands and water. Let us all follow the Moore’s example, as we continue to enjoy public lands and water. The NRMA’s benefits do not end in Oregon–not even close. The wildness and beauty of Yellowstone and Washington’s North Cascades National Parks will be protected from mining operations, as the NRMA will permanently withdraw federal mining permits from adjacent lands. Millions of acres of land will be protected throughout the country because of new federal designation. 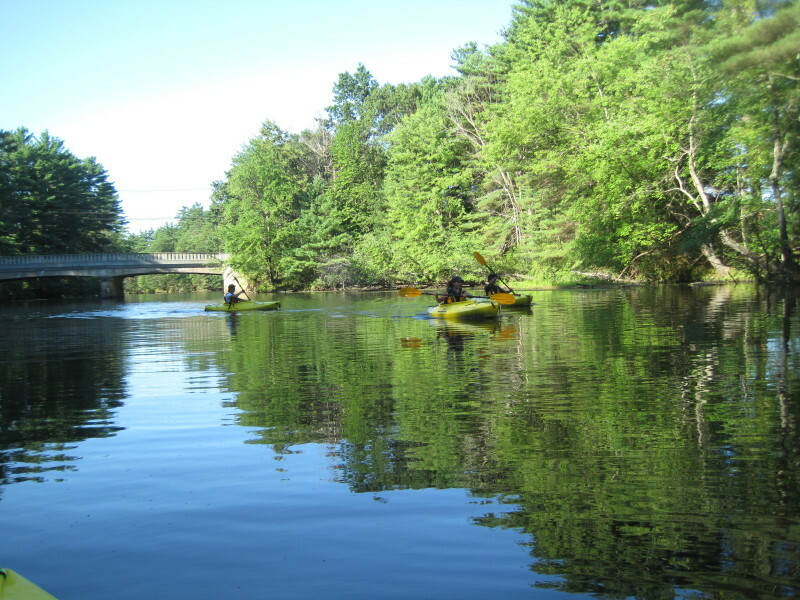 Around 620 miles of rivers in seven states would be protected from damming and development through the Wild and Scenic Rivers Act, including but not limited to: 69.2 miles of Oregon’s Elk River and 27 miles of New England’s Nashua River. The Act will also promote the expansion and enhancement of fishing and hunting opportunities on federal lands. Clearly the NRMA contains tons of provisions that will do great things for our country’s public lands and waters and benefit a wide variety of outdoor recreation activities. Thankfully, with strong support in the Republican-controlled Senate, the NRMA should pass with ease in the Democrat-controlled House, when Representatives consider the measure after the February recess. Contrary to the current administration’s attacks on the environment–the withdrawal from the Paris Climate Accord and dismantling of Obama-era environmental regulations (these are only two examples of many)–President Trump is expected to sign the Act into law, once it passes the House. No piece of Congressional legislation is perfect, the NRMA included, but this Act gives outdoorsmen and public land enthusiasts all around the country a much-needed victory. Hopefully, this forward-thinking, bipartisan legislation can continue into the future and address other burdened environments, such as the water crises in South Florida or diminished steelhead and salmon runs in the Pacific Northwest. If you would like to weigh in on the Natural Resources Management Act, reach out to your Representative and ask them how this Act would impact your respective locality and/or urge them to vote ‘Yes’ when the measure is considered on the House floor. Also, check out these articles by Outside Online and the Washington Post for more information! The EPA’s proposed rollback of protections for our headwater streams is open for public comment. Please help us keep clean water at the forefront of the discussion. The comment period opened February 14 and only lasts until April 15. We need you to comment now! After weeks of lag time, the opportunity for the public to weigh in on reducing protections for headwater streams is finally here. In early December, the Environmental Protection Agency put forth a proposal to significantly narrow the scope of protections on our nation’s waters. That includes important headwater streams that are vital for healthy fish populations. And it’s not just fish — these are the birth places of our rivers — the sources of drinking water for 117 million Americans and the engines that power our $887 billion outdoor recreation economy. Clean water is a right of all Americans and protecting our water resources has never been more important. We all live downstream. Clean water benefits individuals, fish, wildlife and our pocketbooks – it is far more cost effective to keep water clean. The 2015 Clean Water Rule, based in sound science and law, provides a baseline protection for all citizens, regardless of where they live, holding polluters accountable while maintaining important traditions such as agriculture. We deserve peace of mind in knowing that our water is clean. We urge you to learn more and let your voice be heard. This doesn’t just impact anglers — it impacts all Americans. It’s time to stand up for clean water. The Baker river is a little gem that I discovered just a couple of years ago and continues to be one of my favorite rivers to fish in New Hampshire. From my experience this river is not heavily fished at all, in fact most of the time I never cross paths with another angler. The Baker river headwater starts on the southern slope of Mount Moosilauke in Warren, NH and makes it’s southernly 36 mile journey to join the Pemigewasset river in Plymouth, NH. From exit 26 off of 93, Route 25/118 (Baker River Valley) follows the river and there are plenty of areas to pull off to gain access to the river. Some of my favorite areas are in the towns of Warren and Wentworth where you can find plenty of deep pools and runs. In Warren the State has a hatchery there and offers tours, be sure to check out the front pool which holds there broodstock. In the Town of Wentworth there is a small park where you can enjoy a nice lunch while viewing a waterfall and after lunch you can try your luck at the deep pool just down stream of the park. On the lower stretches the river begins to slow down and meander. In this section there are parking areas for canoe launching. Paul VanderWende has a book titled Field Guide to Trout Streams of New Hampshire which offers more information and topo maps of the area. The midge is the most abundant aquatic insect in the world, found in every type of water environment. The midge in some cases is the sole food source for trout in high elevations. Because of this and the love for the surface rise this pattern combines the midge pupa with a parachute style dry fly to allow for the joy of the surface take. Tied in Sizes18 and smaller a great pattern for those that love the dry fly action.